The popularity of this vehicle is no surprise as the Nissan Qashqai has been a firm favourite of Easirent (we currently have 50 on our fleet) and frequently receives excellent reviews on Trust Pilot and Review Centre. I rented a ford focus from the office in Glasgow city centre. The car was not available so we got an upgrade for free to a Nissan Qashqai. It was hard to give the car back! The staff is very friendly and the price I got was good. I’ll very probably hire again with them. 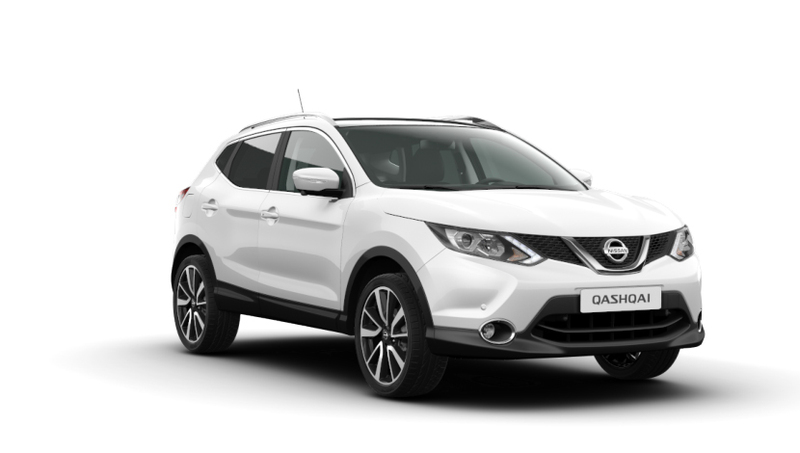 What gives the Nissan Qashqai so popular with our customers? Economy, the Nissan Qashqai has very low running cost compared to rival vehicles; comfort, there is plenty of room for all the family, and there is plenty of space in the boot! The Nissan Qashqai differentiates it’s self from other competitors on the market because of the wide range of features on offer. Easirent cannot guarantee your hire car to a certain specification however the following features are as standard. There are a variety of models the Visia offer CD radio, 16’’ wheels and charcoal cloth trim manual air conditioning with pollen control. The Acenta offers USB port, 6 speaker’s 17’’ alloy wheels a leather steering wheel, and graphic cloth trim interior. The N-Connecta offers an intelligence key, rear privacy glass, 18’’ diamond cut alloy wheels, heated seats and the executive pack graphite trim. This is similar to the Tenka, however there are 19’’ alloy wheels, and satin silver roof rails. There is just so much on offer with the Nissan Qashqai! How did it fair for a test drive? Well pretty great on fuel, it’s true and low on pollution, a great choice for a family car, the chassis is suited to British roads offering a smooth drive whether on the way to school pick-up, or back to the country. Enjoyed the engine refinement, there’s no wind and road noise as the high quality interior allows for a quiet and smooth drive. The interior has soft plastic switch buttons which are resilient and durable. The N-Tec models offer dual climate zone, there are also variations on the lights seat covers and they come a variety of colours. The acceleration is smooth and tackles all those bumps. The Nissan Qashqai also offers enough boot space, fully tested by the children! Let us know how you found the #Qashqai by tweeting us @EasirentCarHire.to be in with a chance to win an Apple iPad Pro. You can read all our editions of Ask The Expert here. For prices on both these models and more information please visit our fleet page.